I came across this Library when I was walking around the city on a weekend. It's located on 31 Alfred Street Circular Quay in Sydney, opposite the Circular Quay train Station. The Library is in one of Sydney's greatest Heritage buildings. "The Custom House"
As you walked inside the building, you're greeted with grand atrium, impressive staircases, a magnificent giant model of the city of Sydney showcased under the glass of the ground floor. The Library has a collection of approximately 500,000 items to date. Located on the same level is an array of local and international newspapers and magazines with comfortable lounges. Access to free internet and Wi-Fi is also available. There are various restaurants and café. Adjacent to the Library is the Quay Bar. Level 1 and 2 have more lounges and array of books to read. The Barnet Long Room is a spacious hall, ideal for parties and occasions, as well as the Custom Square, which is the building courtyard, can also be hired for events. Transport is readily accessible. Wherever you're coming from, the trains, ferries and the buses are situated next to the building. 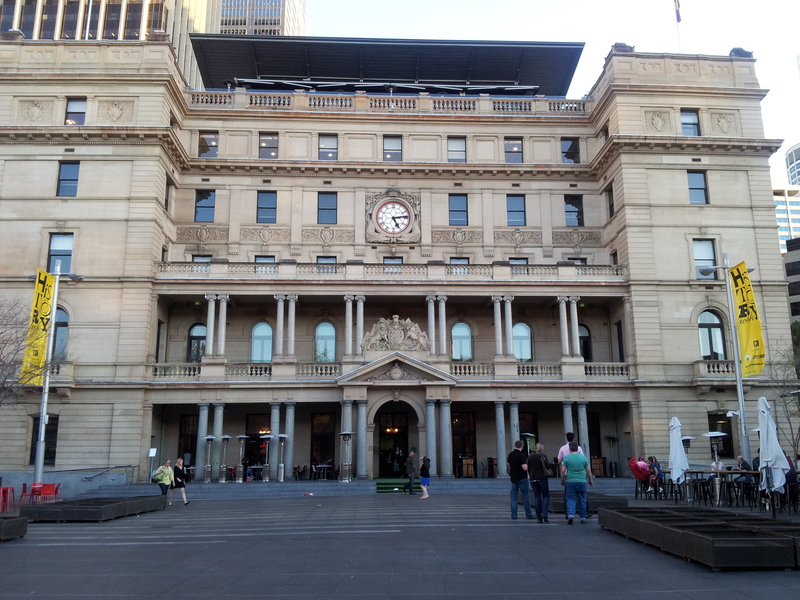 The Custom House is built on an area where the Eora people, an Aboriginal community, witnessed the first settlers, and since then, the house is the doorway to the immigrants, merchants and their merchandise entering Sydney. The "Eora people" was the name given to the Aboriginals who resides in the coastal areas around Sydney. It means "here" or "from this place". The local Aboriginal people use this word to describe to the British where they came from, and the British in turn used this word to define the Aboriginal people themselves. The building was constructed as the centre of customs operation in Sydney. As the centuries turned, it lost its importance as the main customs operation zone. However it has been preserved as a foremost heritage by the City of Sydney. It is now equipped with modern amenities taking it to the 21st century and now stands as a principal attraction of Sydney and houses the library, which has a network that allows members to borrow an item from any branch and return them to one closest to their location. The City Nine Libraries are located in Surry Hills, Glebe, Ultimo, Circular Quay, Waterloo, Kings Cross, Newtown, Haymarket and Green Square.